An off-the-map audio tour of the Lili Lakich Studio. Presented by Trap Street. 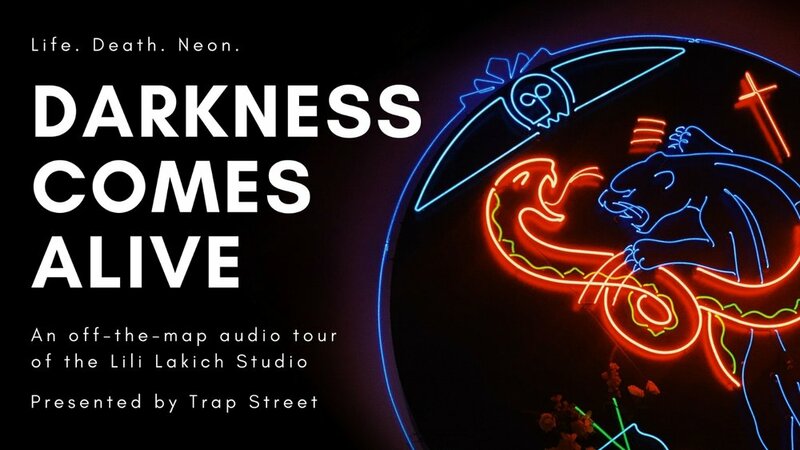 Darkness Comes Alive was first performed June 30 – July 14, 2018. Want to know when it's happening again? Join our email list for updates. 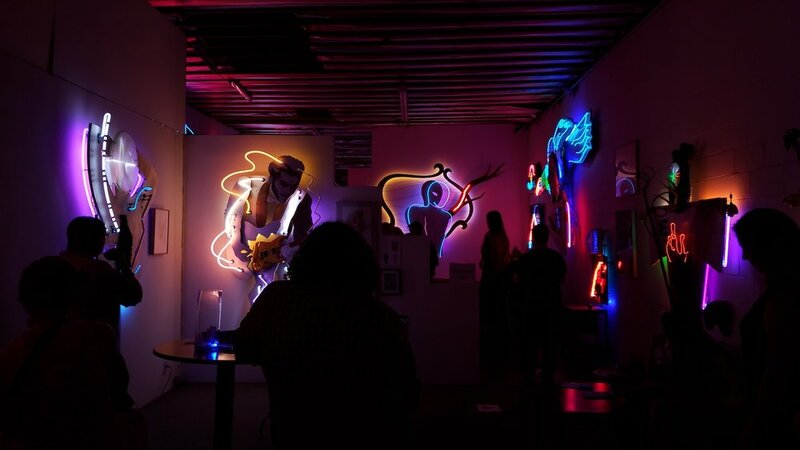 Enter a strange world of neon light, hidden in the middle of the Arts District. Led by an undertaker, a vigilante, and a true believer, this multi-part audio tour might make you question your mortality…and what lies beyond. Only you can decide what to believe. Darkness Comes Alive is part history, part fantasy, and part choose-your-own-adventure. So come explore the stunning works of renowned neon artist Lili Lakich in a way you've never seen before. Then grab a drink and stick around to party with us afterwards! "Trap Street created a beautiful, emotional experience in an already magical location." "the sensuous quality of all the light makes me believe...that souls are preserved inside those glass tubes."